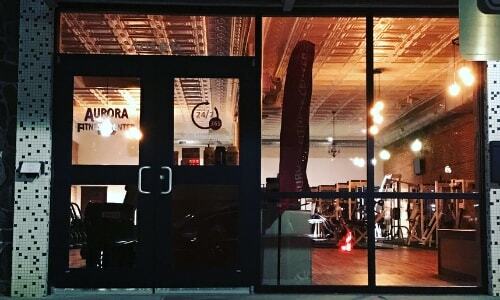 RhinoFit Client Sara Sutherland, owner of Aurora Fitness Center, describes her experience as a 24/7 gym owner and the benefits. If you own a personal training studio or even a gym, you should consider the possibilities of expanding your services for your clients and members to include the option of 24/7 gym. As a business owner, time is money. The time that we work for ourselves to have an income or the money we pay employees and independent contractors for their time. What are ways that we can keep more of it coming in versus going out? There are 6 key benefits of moving to a 24/7 access system. Decreasing Staff Hours: Every gym has it…. those hours throughout the day when it is not very busy. However, you pay to staff it for hours where very few members come to workout. Giving members the opportunity to have access to the gym without having that money out for staff can be a huge benefit for you AND a huge benefit for members. It is amazing to me how many people want to work out between 10 pm and 5 am. We always have a flow of members during those times. It is what works for their schedule and they are thankful to have it as an option. We have gained members just by having these services. Attract New Clients/Members:Work and life schedules dictate when people have an opportunity to get a workout in, so knowing that they can do it whenever and on their own time is incredibly valuable. Fixed Overhead: Your expenses to run your business are probably pretty much set with maybe a little variation, however giving members an opportunity to access the building at their convenience is a huge selling point for them to choose you versus someone down the street that only has specific class times. Or even the gym that has fixed business hours. Easy Oversight: With the RhinoFit dashboard, it is easy to watch the facility when you need to see who is checking in and out. You can also check in on your business at any time of the day to have a good sense of what is going on during your physical absence. Upsell Opportunity: Relationships you have with current clients/members gives you a greater ability to convert them into someone who would pay more for this option if you are looking to add this. If you are a brand-new business, this just becomes a huge selling feature and you can use it for a way to set your price with the added benefit of 24/7 access. Clients/Members ability to reach goals: If you have a personal training studio that clients are just coming for their sessions, how many challenges do you have getting them to complete workouts in between sessions to really accomplish their goals? Providing them with an option to come outside of training sessions to work more on their programs can lead to better compliance and success! We have seen all the above work for us as a 24/7 access facility. The convenience, especially in our small town is incredibly valuable. We run our facility 100% on the use of 24/7 access and memberships purchased online so that we can remain an unmanned facility. Time is money, our time is valuable. We want our business to work for us, not have us tied to our business. We LOVE RhinoFit!